Have you been seeking an effective solution that makes your business communication easy, simple, and efficient? What if we told you that there’s a bulk SMS app designed to do just that? With SendHub, your business will be able to deliver bulk SMS messages that grab the attention of the recipients while quickly conveying your message. Did you know that SMS has a 45% response rate and 90% of texts are read within 3 minutes? Over 6 billion texts are sent each day. 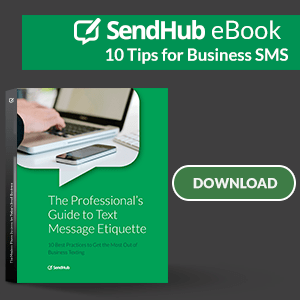 If you’re just getting started with SendHub, or want to know how our bulk SMS app and services can make your business better, read on for our best tips and tricks for sending bulk SMS messages to your employees, customers, and vendors. As a business leader, you know the importance of effective communication. If you’re attempting to contact a large group of people at once, such as your customers, your employees, or multiple vendors, sending a bulk SMS is the easiest and most effective method of communication to reach your target audience when you need to reach out. Send texts from your PC and manage them with a simple inbox as provided with Sendhub. Our business SMS services allows you to easily access, create, organize, and edit your recipient groups for effective contact management, making sure that you always send the right message to the right people. When you register for SendHub, you’ll gain a new business number complete with the area code of your choice, or keep the number you already have. Once you’ve registered, you can utilize our out-of-the-box SMS solution to start sending bulk SMS messages straight from your PC. If you’re already using a CRM to manage your customer relations, integrate it with SendHub. With API, you can easily integrate your existing software with SendHub to create a bulk SMS solution that is both easy to use and manage. With a dedicated API service, SendHub business SMS solutions can be integrated with your existing CRM or other customer management software by your programmers. With this access, you can do many things. Have your programmer check out this page that lists several different items you can automate with SendHub’s API. It will also list the coding instructions for each item. Do you want access to your bulk SMS service when you’re on-the-go? SendHub can go anywhere you do, with easily accessible and user friendly iOS and Android smartphone apps. Available for free with subscription, you and your colleagues can manage your messaging inbox, create and send out new bulk SMS messages, and update your account settings whenever you need. Keeping on top of your SMS relations as a business leader has never been easier. 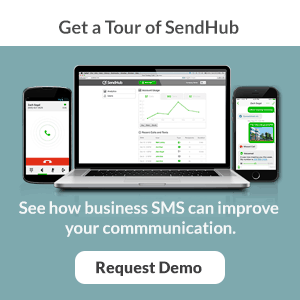 Whether you’re in the delivery industry or in charge of a major marketing agency, SendHub’s easy to use bulk SMS solution is what you need to make your SMS communications work for you. Start your free 14-day trial with SendHub today!